The legend of Dinosaur Jr. is one that has reverberated through the indie rock scene over the last 30 years, and one that I am surely not qualified to discuss in a detailed fashion. Noisy and melodic, the original trio of Dinosaur Jr. albums were released in 1985, 1987, and 1988. The dynamic between J. Mascis and Lou Barlow bordered on hostility – eventually, things would come to a head and Dinosaur Jr. became a vehicle the songs of Mascis, while Barlow moved on to Sebadoh and The Folk Implosion (whose Natural One is likely the biggest Dinosaur Jr. related song). Drummer Murph recorded off and on in the reconstituted Dinosaur Jr. but didn’t play a part in the post Dino band J. Mascis + The Fog. Against all odds (take a look at me now), the original version of Dinosaur Jr. reformed in 2005 and have put out 4 records over the last 11 years. Noisy and melodic, the records felt like a continuation of the band, not a band trying to recapture past glories. I caught them in Seattle in 2016 and was impressed by the noise assault – the amps and speakers seemed to reach to the ceiling of The Showbox venue. A great feel good story – but it isn’t the whole story. Concurrent with the Dinosaur Jr. reunion, J. Mascis started releasing mostly acoustic solo records. Incredibly, the quality of these records was on par with his output w/ Dinosaur Jr. I had the opportunity to see J. Mascis in his solo acoustic iteration at the Sub Pop Festival in Seattle in 2013 and was enthralled. A modern-day Neil Young, in my opinion – I was particularly enamored with J’s version of Edie Brickell and the New Bohemian’s Circle. 2018 sees the release of his latest solo record, Elastic Days. Incredibly, it has become one of my favorite records that J. Mascis has been involved with – solo or band. 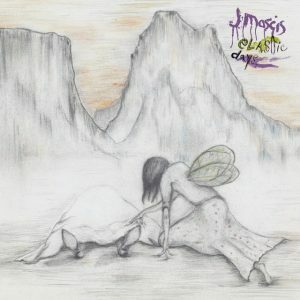 Elastic Days was released on November 10th – the same day I had tickets to see J. Mascis at a small venue in Seattle. The day of the show I streamed the new record as much as possible, trying to absorb the songs I hadn’t heard yet as much as possible. The songs I had already heard I loved – they felt like a mix of the lived-in guitar solos of Dinosaur Jr. and the mellow melancholy vibes of J’s best solo work. 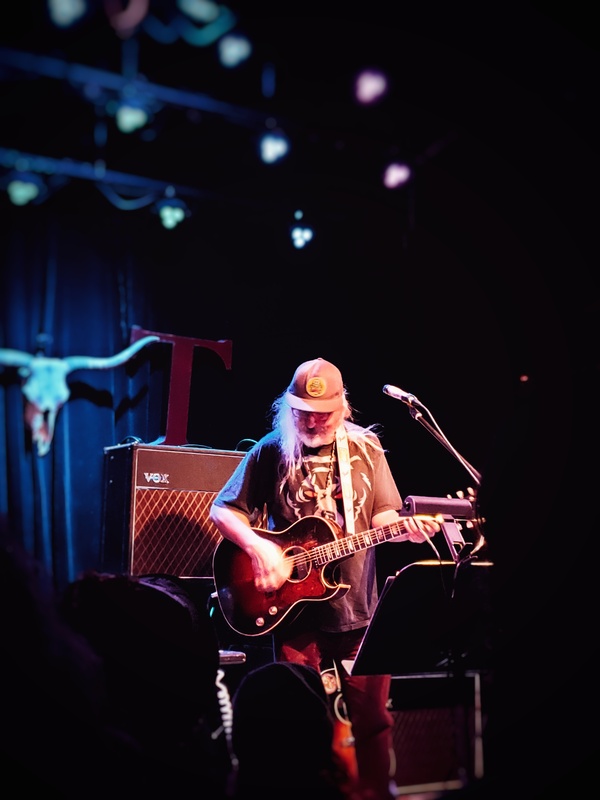 By the time J. Mascis arrived on stage around 10 PM that night, I was ready to sing along and hopefully experience an amazing show. 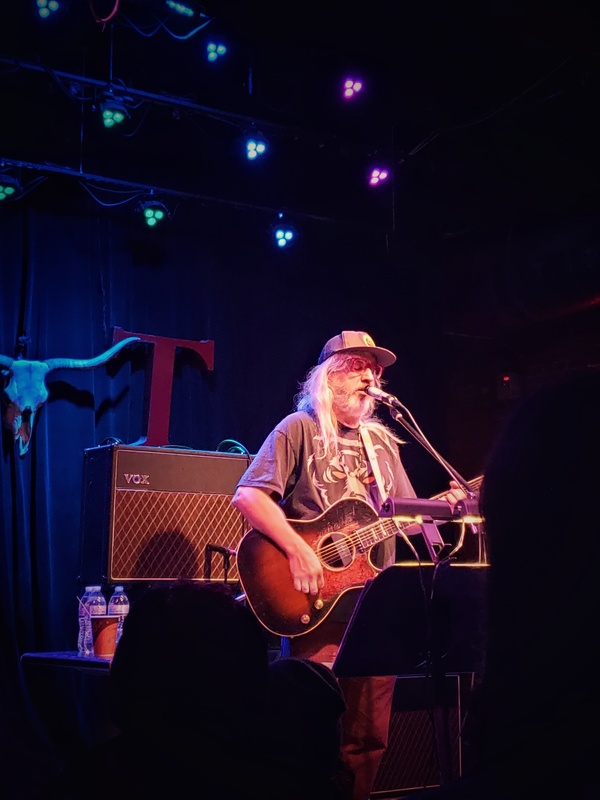 From the moment Mascis started to sing, I knew I was in for something special – he seemed to be in “the zone” with his guitar & vocally. No backing band whatsoever, this was as pure as it could be. Acoustic vibes until he hit his pedals and took us away with otherworldly guitar solos. It was quite different from the 1st time I saw him solo – the set list blended Dinosaur Jr. classics with solo material. The new songs didn’t sound out of place, which is a testament to their strength. It was a “close your eyes and float away” kind of night and was the best show I saw in 2018. After the show, I was waiting in line to buy the vinyl and the person behind me asked if they had any CD’s. “No, man – we only have cassettes and LP’s.” was the answer given by the merchandise guy. I had to smile to myself – it was the perfect ending to a perfect night. The record starts off with two of the strongest cuts, which is an unusual move. See You At The Movies is soaked in longing and regret, a mournful guitar solo punctuating that vibe. Lyrically, this strong stuff: “Finding you was easy / But finding me is hard”. The Neil Young comparisons probably will never go away, but they are valid thoughts. Web So Dense is easily my favorite song on the album. Sad vibes mixed with hopefulness – the best vibes in my opinion. It feels like another melancholy low-key tune until we hit the coda. J’s emotions pour out “It’s the long way to get to you / It’s the wrong way to see the truth / It’s a deep place I thought I knew”. Pure poetry. Give It Off has a jangle pop feel to it that is infectious. Lyrically, it finds J in a confused place: “I know it’s coming / I’m not that strong / I’ve known it all along”. The title track is another slice of singer-songwriter perfection. J’s voice is imbued with emotion – bringing that to the fore on this record really is a special thing to behold. Everything She Said ends the album on a slightly upbeat note – jangly, melodic, emotional. Another highlight on an album full of them. The album is out now and can be found at all the major retailers in a variety of formats. I find it to be one of the strongest records made by J. Mascis over the course of his wide-ranging and lengthy career. Highly recommended. Great review. I have seen Dinosaur Jr live but never J solo. I got all my stuff signed by the band last time and J was a nice guy. I was thinking about his new album, but now it is a must. As for band merch I place vinyl and cassette higher than cd’s. I do not buy t shirts, stickers, posters etc. I buy music. Lucky for you the album released the day of the show. I hate it when a band tours and the album has not released. So unfair to the fans that are willing to buy it but can’t. I have been to shows the day before album drop and could not buy it. So frustrating.